Mirch Chutney recipe by Aliasorry No Photo at DesiRecipes.com. 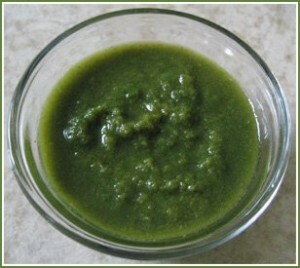 Mirch chutney is a type of dip which tastes great with several snacks and very easy to prepare. put all the above ingredients in the Blender except salt and blend. Now put this chutney into a bowl and add the salt . Enjoy!! !